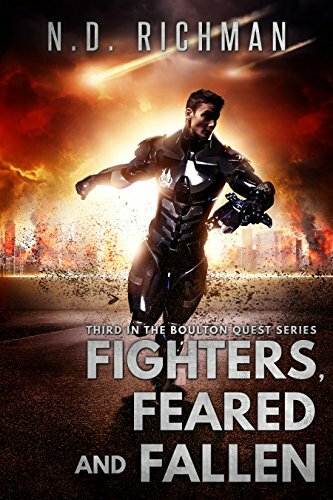 Fighters, Feared, and Fallen is the third story in the Boulton Quest series. It is an epic war/futuristic novel mainly centered around Thomas and his war against the “Toads.” Thomas is astonished when all communication systems are taken over and riots are breaking out. He and his friends go into hiding in their bunker. After doing research, Chris finds out that the electrical surges were actually time machines in use!